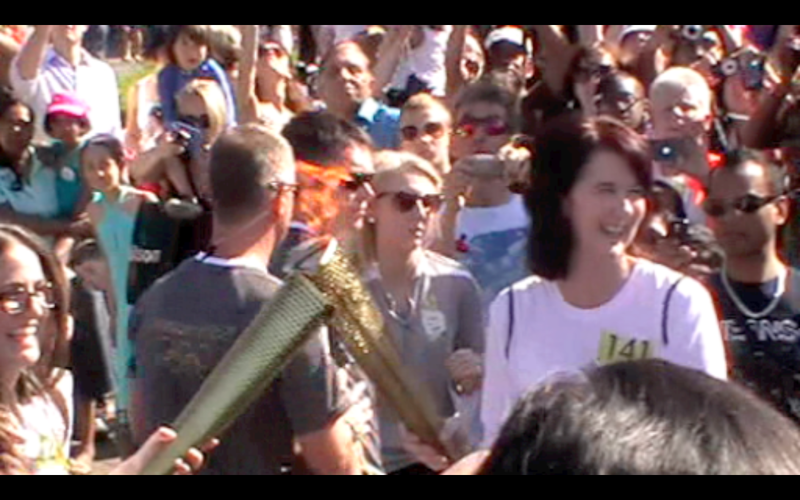 To the peals of church bells, the assembled crush of disorganised bodies parted a little to allow our Colliers Wood torch bearer, Susan, to light her own Olympic flame. In the event, a grey tracksuited helper was necessary to conjoin the two torches to ignite the fire, and Susan held it aloft with such an expression of joy, that it would have been difficult to remain unmoved. After posing for the media, amid many cheers, chants of “Su-san, Su-san!” and one photograph-hunter’s insistent call of “Lady in grey, can you move out the way so we can get a picture?”, Susan headed off, leaving an untidy, but jolly, sprawl of Colliers Wood residents in her wake. 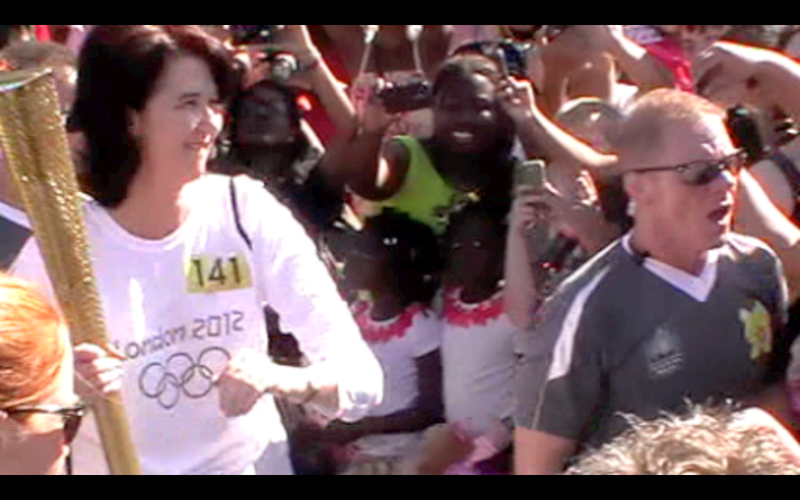 This entry was posted in Torch Relay and tagged colliers wood, grumpy, london 2012, merton, torch relay by Eileen Kennedy. Bookmark the permalink.